Infinix Note 5 runs powerfully on Android One. Android One is a part of a smart series of google unmodified Android operating system. security through frequent updates. But the downside of this is lack of software customization which is available on other Infinix smartphones. 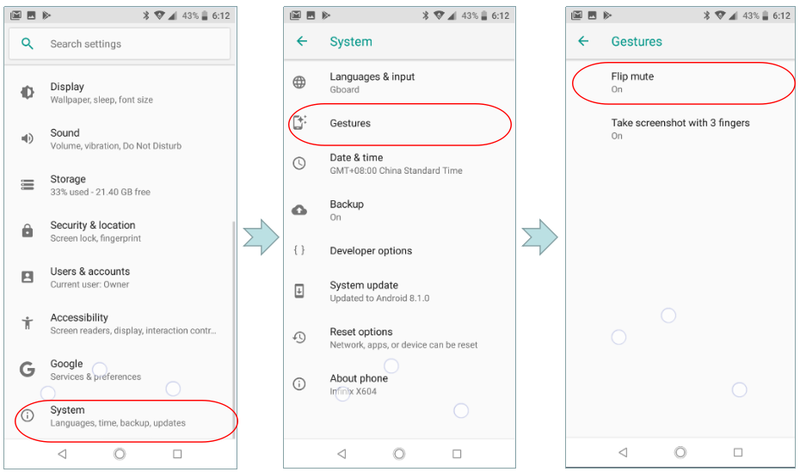 Due to this, users may need some instruction about WHAT GESTURES ARE AVAILABLE ON THIS DEVICE? Do you get many unwanted calls? Do you require a simple way to mute unwanted calls? All you need do is just flip the phone downwards and it will mute itself. Taking screenshots from your device gets quicker with fewer hassles, for example, if you want to share something shown your screen with friends or just save it, etc. 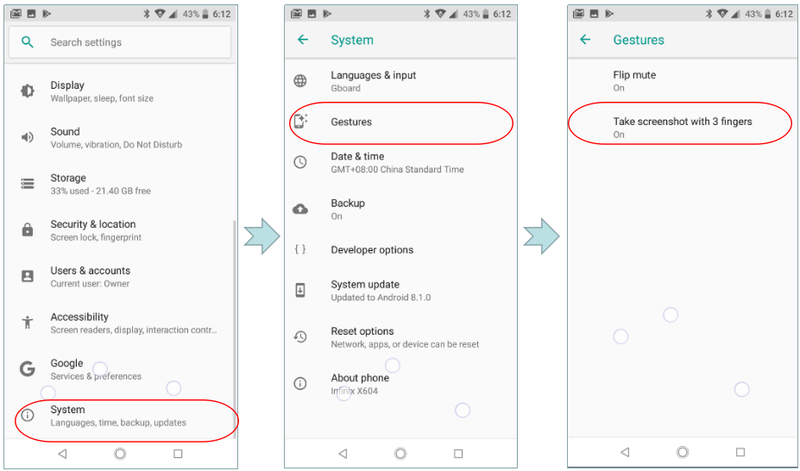 Note 5 allows three finger gestures to take a screenshot. First, you need to enable the feature.